Some Halloween costumes may be risks. But you don't take risks. You're not stupid. This Eleven Stranger Things Overalls Costume is the opposite of stupid—it's likely to be the best costume at whatever party you step into! There's no compromise, no half-way happy with this look, you'll feel gleeful as you instantly transform into Eleven's season 2 signature look! Of course, becoming El takes more than the right outfit. You need attitude, intelligence, and oh yeah, superhuman powers to control things with your mind. We're still working on our licensing for that last part, so in the meantime, we've created this costume to at least get the ball rolling. But keep working on those mind tricks! We personally think the world would be so much cooler if there were more Elevens in it—why do you think we're trying to replicate her look and send you out into the world just like her? 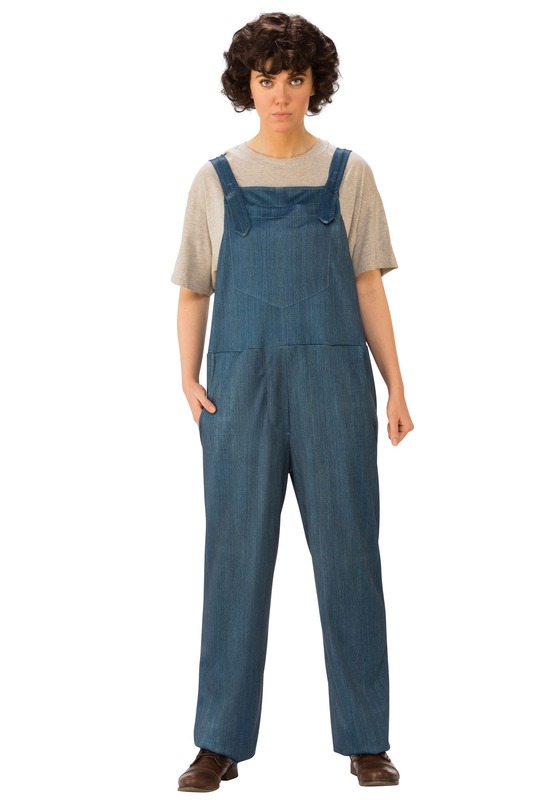 A real 180 from her more innocent original pink dress from Season 1, these overalls say, "I've been hiding out in the woods hunting squirrels and living in fear of being caught." El was bound to go through a tomboy phase at some point, right? These overalls mirror the 80s cut of her on-screen pair, but we recommend adding an appropriate haircut (or wig), some fake blood under your nose, and our Stranger Things Eleven Plaid Shirt—not to mention a wicked stare. Get practicing! As El, you're going to save the day and help kill the Mind Flayer and all the Demodogs and basically be awesome all the time. But that's not really a spoiler, is it? Everyone knows Eleven is the best part of Stranger Things and now you can sample what it feels like to walk in her...overalls...for a night with this clever and definitely not stupid costume!